According to estimates by the Pakistan Environment Protection Agency (Pak-EPA), almost 55 billion plastic bags are manufactured and used in Pakistan annually, with an average of 397 bags used per person in a year. A local shopkeeper told me he spends about Rs20,000 a month on purchasing plastic bags. Even people who come in for just a pack of chips want a bag to carry it in. Many customers even insist on different bags for different items. Since plastic bags are less expensive than paper ones for shopkeepers to buy, they take the more ‘cost-effective’ route to fulfill this demand. I heard a story of a small boutique in Karachi that had started to use recycled newspaper bags. Apparently, the owner of the store received so much negative feedback about the environmentally friendly bags (the customers complained they did not seem high-end enough) that she had to move back to branded plastic ones. Today half of the debris on Clifton beach is plastic. The plastics we dump in the sea pollute waters and are not only a serious threat to marine life, but their toxins also ultimately end up in humans. 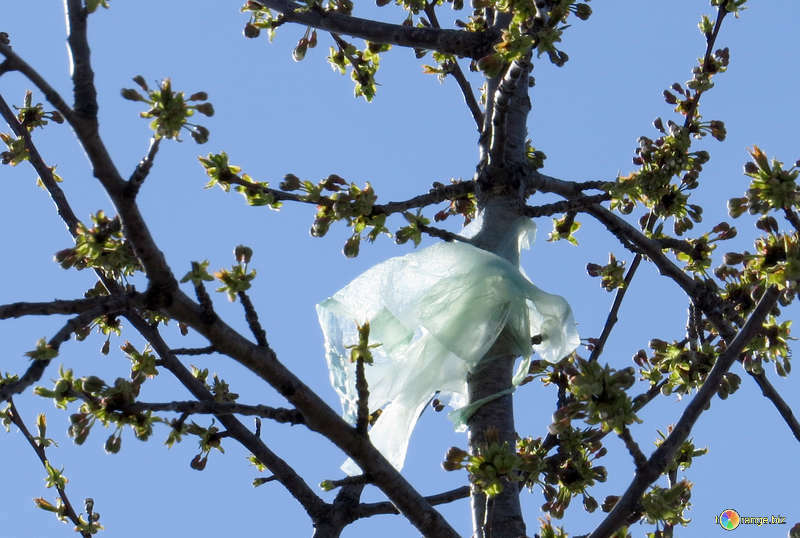 The government of Khyber Pakhtunkhwa recently banned the manufacture of non-biodegradable products, along with the Balochistan government, which banned the sale, use and production of plastic bags. It is unclear as yet how well these bans have been imposed. The Pak-EPA also recently issued a ban on plastic bags in Islamabad, but this ban has yet to be ensured by the Federal Government. However, such a ban has worked in Kenya, which imposed fines up to €32,000 or a prison sentence of up to 4 years for anyone caught with a plastic bag. Despite some protests to this ban, “the Kenyan high court judged that the environment is more important than their commercial interests.” Kenya follows 40 other countries that have banned, partially banned, or taxed the use of plastic bags. Why is it that I find it so hard to imagine such a ban being implemented (and ensured) in Karachi? Maybe because there have been so many instances already of our government choosing commercial interests over the environment. In August, the mayor of Karachi distributed biodegradable plastic bags among citizens on the streets, in a campaign about keeping the country clean. It was no doubt a good cause, but there was also corporate sponsorship involved from a large multinational company, which leads one to wonder whether the motivation would remain the same without commercial interests involved. It seems like the general mindset is that more waste and environmental destruction you create, the more “forward” and “developed” you will be. At this rate, the only kinds of trees we are going to be left with will be plastic, and plastic trees cannot protect us from the tides.